Bunker vessels are one of the most connected ships at sea; tracking them could pinpoint clusters of illegal fishing. The idea to track bunker vessels arose when Ford was examining AIS signals in the Arafura Sea, an expanse of ocean between Indonesia, Papua New Guinea, and northern Australia. She noticed that some of the bunkers there were moving strangely: lingering off the south coast of Timor-Leste, then leaving and returning to the same area. Months later, reports surfaced of illegal fishing happening right where the ships had been loitering. Though the link was only circumstantial, Ford saw the bunkers as potential enablers of illegal activity. Ford and her colleagues selected an area in the southern Indian Ocean and looked at all AIS signals from vessel traffic over six months. There were 181 vessels in the data set, including fishing boats, container ships, and bunker vessels. On a computer screen, the AIS tracks crisscrossed, backtracked, and overlapped each other like tangled wires, making it difficult to see interactions between ships. Ford then applied a method called social network analysis to look for patterns within the jumble of AIS tracks. As the name suggests, this technique helps build a picture of how different individuals are connected to one another. The more connections someone has, the more central they are to the network. Social network analysis has been used for decades to identify crime kingpins, improve business efficiency, and even track the spread of disease. Ford’s analysis showed that one bunker vessel scored highest across several different ways of measuring centrality, making it the most connected vessel within the network. Tracking such a highly connected ship, the researchers say, would help identify clusters of fishing activity at different times. Not all of that fishing would be illegal: both legal and IUU operations need to refuel, after all. But highlighting centers of activity is a key starting point for those working to crack down on this elusive crime, Ford says. Using social network analysis can also reveal which fishing ships are most often associated with certain tankers or reefers, which might help authorities pin down the criminal networks driving IUU fishing. While following bunkers alone isn’t enough to stop IUU fishing, knowing the whereabouts of these previously hidden networks is a tool that helps fisheries enforcement officials focus their efforts, says Ford. Kimberly Riskas is an environmental scientist and writer based in Melbourne, Australia. 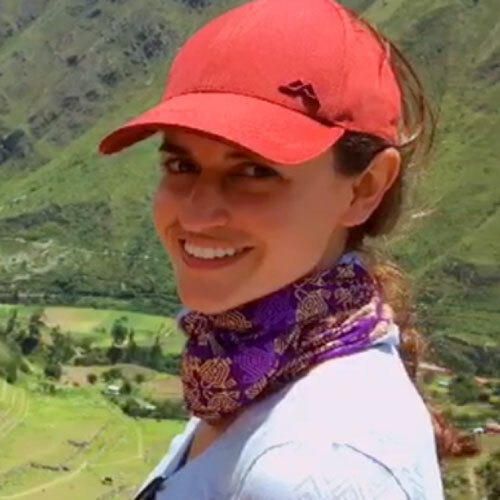 Prior to working in journalism, she earned a PhD and worked on marine conservation projects in Cape Verde, Australia, Malaysia, and the United States. Her work has appeared in Cosmos, The Conversation, Sciworthy, and others. Cite this Article: Kimberly Riskas “Fuel Tankers Help Highlight Illegal Fishing Hotspots,” Hakai Magazine, Jan 17, 2019, accessed April 26th, 2019, https://www.hakaimagazine.com/news/fuel-tankers-help-highlight-illegal-fishing-hotspots/. Satellites are spying illegal fishing from space.